How to watercolor: In under 3 mins. People often ask me, “Oooh, you use watercolors! Isn’t that really hard?” Short answer: No, silly. Slightly longer (2:40) answer: watch this video from Felix Scheinberger. He lays out all you need to know succinctly and clearly. And in German! And it ends with him putting a flame to his painting! Felix, BTW, is one of the world’s greatest masters of watercoloring. And even though he gives you all the basics in this video, he has sooo much more to teach. It took me over a year to get him, but now he’s finally on the fakulty at Sketchbook Skool. Starting tomorrow! We have a few seats left but enrollment ends on Friday. Get a brush, some paints, and join us! Previous Post Fun in my pants. Next Post Planting one more seed. Can’t wait,,,, it’s going to be like the first day of school when I was 6… so excited for school to start. Sketchbook Skool is always excellent….I’ve enrolled in all of them and it is an excellent vehicle to help unleash creativity. Skip the colouring books and make your OWN art! Wow!!! Very intrigued and chomping at the bit to join. Praying for a slice of time to commit… Hugs! I have tried for two days to pay for Expressing, but something is wrong with my password or email. I have tried to contact someone about this but no one has answered. I DON’T WANT TO MISS THE DEADLINE. PLEASE HELP ME. Sounds like you enrolled on Ruzuku. We have since moved to our own platform, the Sketchbook Schoolhouse. You can still access the old kourses where you took them, but now you’ll need to set up a new identity and password as if you were a new student. It’s pretty straightforward and you’ll be enrolled just in time for klass on Friday! I am very intrigued by this Klass. I would love to take it but I am in the process of moving and in limbo between homes. Will you be offering it again? I would really like to take this Klass but I am in the process of moving an between homes. Will it be offered again? We will offer Expressing again later this year. However, our next term (with other great klasses) starts on Feb 26. Can’t wait to begin. His little bird is enchanting! 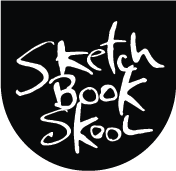 Can’t wait to start sketchbook skool class on fri! I just started a new blog and am in some serious need of inspiration and a ‘daily habit’ routine. Love your work, Danny and I can’t wait to learn from you! Great post and video — I didn’t realize there were watercolor pen-like brushes, and I definitely never thought to dry the work with a lighter! Does anybody know where to get this special watercolor brush ? They are available in most art supplies stores or online. Brands jnclude Pentel and Niji.